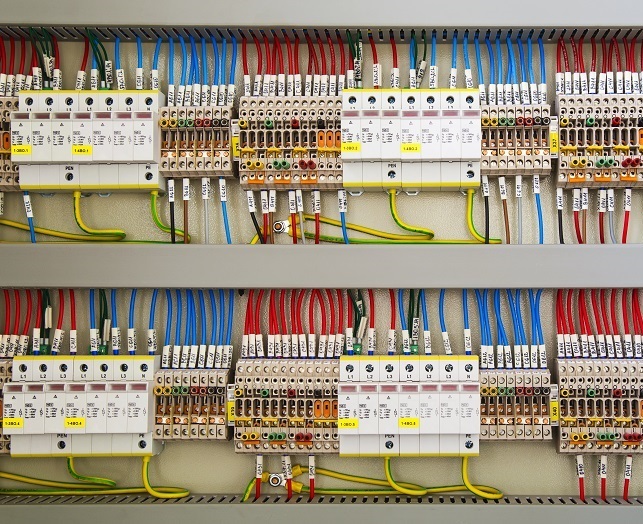 Industrial Managers planning a new electrical installation within their premises or maintenance to their existing electrical installations can contact us and we will endeavour to provide installation and maintenance solutions tailored to fit with your requirements. Our aim is to provide high quality service, installations and maintenance which in turn lead to long term and happy relationships with our clients. You can expect from us the highest standards of workmanship from experienced and knowledgeable electricians. We have completed many new industrial electrical installations, entire machine shop installations and re-locations, as well as individual machine feeds. We will be pleased to quote on any aspect of electrical installation or maintenance work that you may be considering now or in the future. Please Get In Contact For Any Commercial Enquiries You May Have And We Will Be Pleased To Help! We carry out electrical installations, maintenance, testing (periodic inspection reports) and PAT testing as well as door entry systems and installations. We can also help with mandatory testing if required (e.g. emergency lighting testing, fire alarms), lighting and general facilities maintenance.